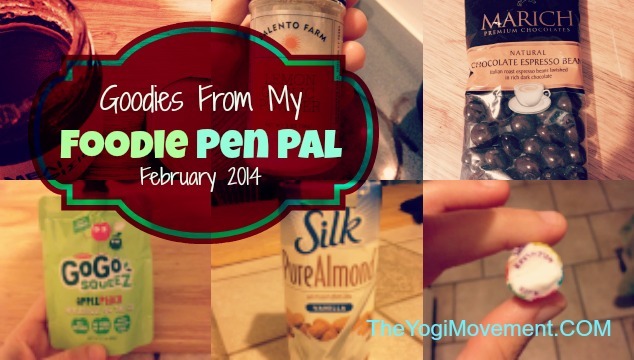 I’ve been so excited about today because it’s Foodie Penpal reveal day! Foodie Penpals is a program that Lindsey at The Lean Green Bean set up. After you sign up, she matches you with someone. From there, you get in touch with your penpal and discuss any allergies or food restrictions, and then send a package to that person. My penpal this month was Julie, and she contacted me right away asking about my allergies or any other concerns I might have with food. She was super nice and so glad she was my first Foodie Penpal. 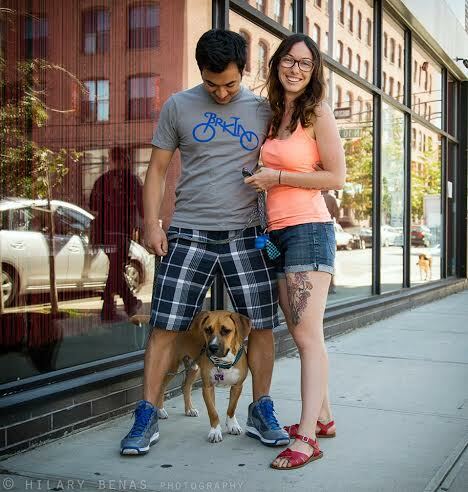 She doesn’t have a blog herself, so I can’t link you up, but I was happy I was able to get a picture of her with her partner and pup! Aren’t they adorable? She was really great about keeping in touch with me to let me know she sent her package, and then to ask if I received it. She also emailed me when she received mine, which was nice. I hope she liked it! First of all, it’s really awesome to get a package in the mail, let alone a package of food! When I went to overnight camp years ago, I used to receive packages from my parents which might have soda or food that I was missing from home, so this brought me right back. This was even more special though because someone I hadn’t even met wrote me a nice letter, and then prepared a sampling of food from Brooklyn, Greece, and the UK! I love the concept of connecting over blogging and social media this way, and that this food traveled so many places to end up at my doorstep. The first thing I had when I opened up my package was a nutritional bar and some trail mix. The trail mix was a really nice snack since it had nuts and raisins, and held me over right after I got home from work. I never think of buying bars or snacks like that. I started thinking, it might be a good and healthy snack to hold me over while I’m at work rather than getting a bagel or croissant from the local Starbucks. I also tried really hard not to devour those chocolate covered expresso beans! Those were so good, but only lasted two days, and that was just because I made myself stop. It was also really cool that she sent me the Almond Milk from Silk since I am a super strict vegetarian and try my hardest to stay away from soy. I didn’t even mention that I try to moderate my soy, but she intuitively knew that almond milk was the way to go. Synchronicity rocks. 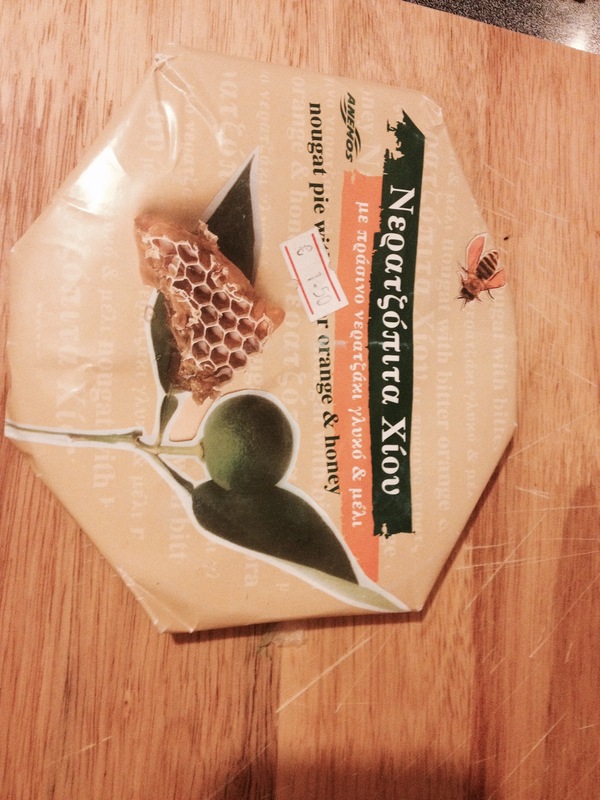 I was super excited about the honey from Greece! I mean, look how insanely delicious that looks. Don’t you just want to stick your finger in there? 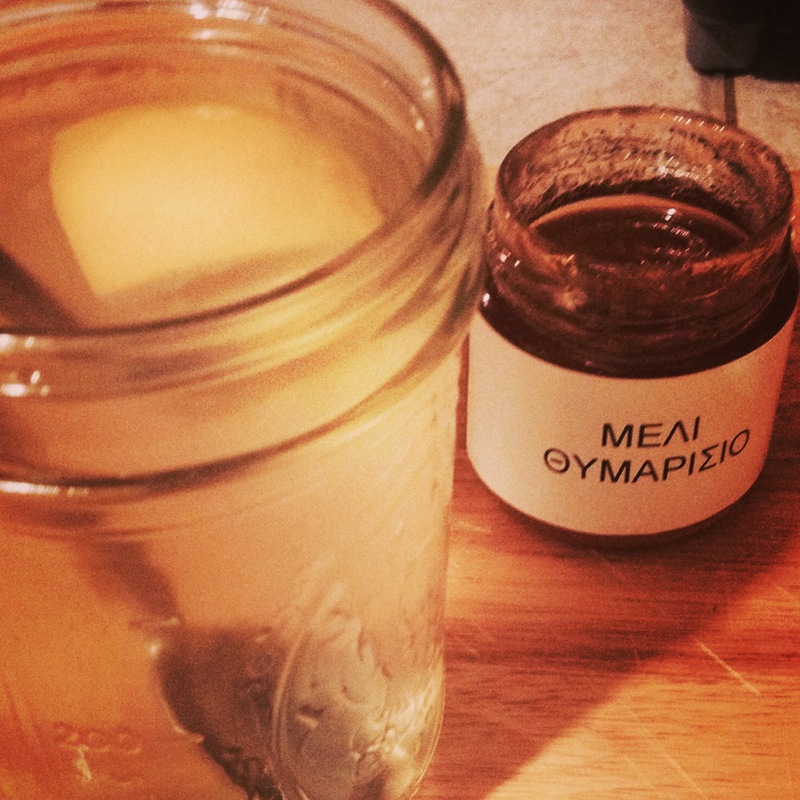 The first thing I thought of was making lemon, honey, and ginger tea, which I included a picture of below. I love to drink that at night to relax and spark digestion. I was out of honey, so it worked out amazingly that I just recieved some in the mail. 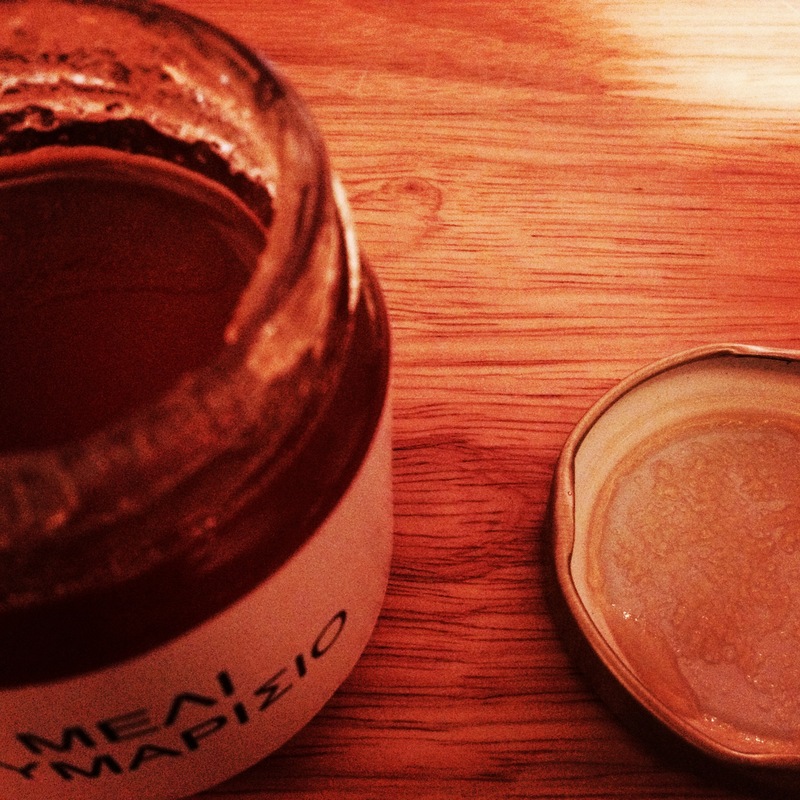 And, not just any honey, honey from GREECE! Sweet! I’m not really sure what this is exactly, but it reminded me of hard candy that tasted like honey. It also had greek writing on it, so that was cool. It took me awhile to eat it since it was so sweet. 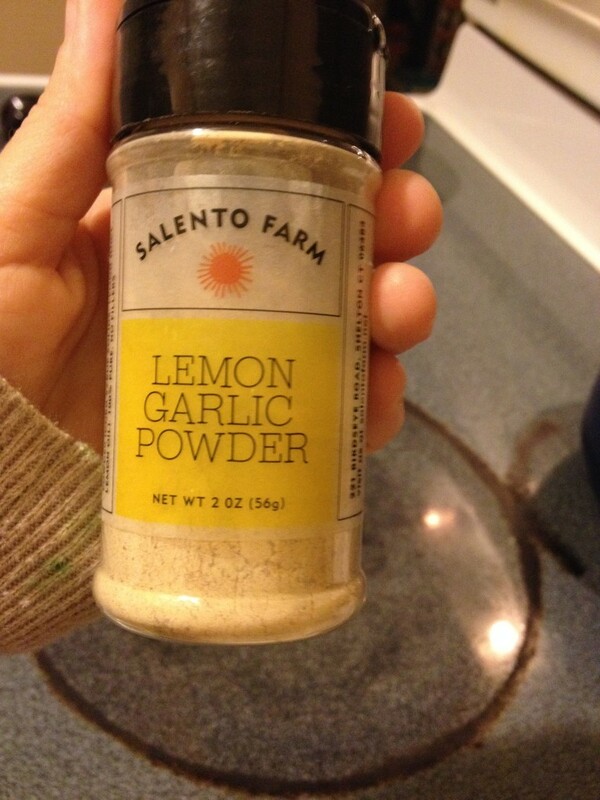 I totally fell in love with lemon, garlic, powder. I love anything different, and I’ve never had a seasoning with a lemon flavor before. I also love garlic, but because I have a pitta constitution (read more about ayuraveda here), I usually stay away from anything spicy or food that creates heat. 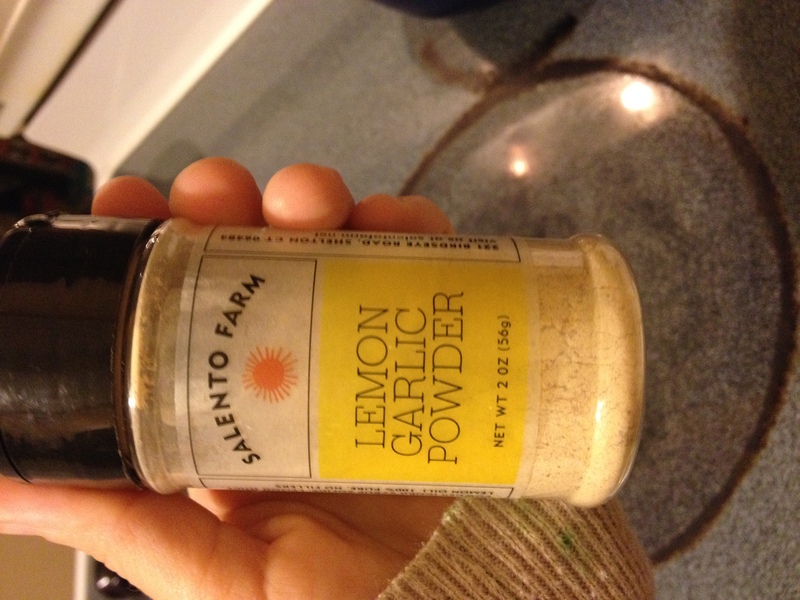 Garlic is one of those, so I’m excited that this is something I can have for awhile and use in moderation. I made a tempeh stir fry with basmati rice, and seasoned it with this. It sure was tasty. 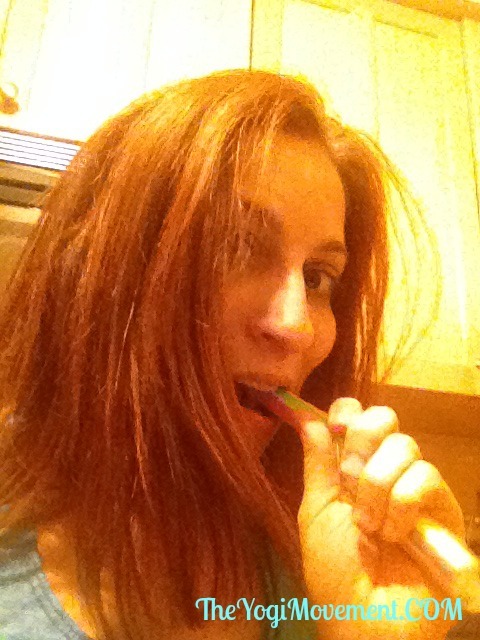 I also took this silly picture last night of me eating this hard candy she sent me from the UK. It was pretty delicious and took care of my sweet tooth. PS. This was also somewhere between take 8-10 of this selfie! 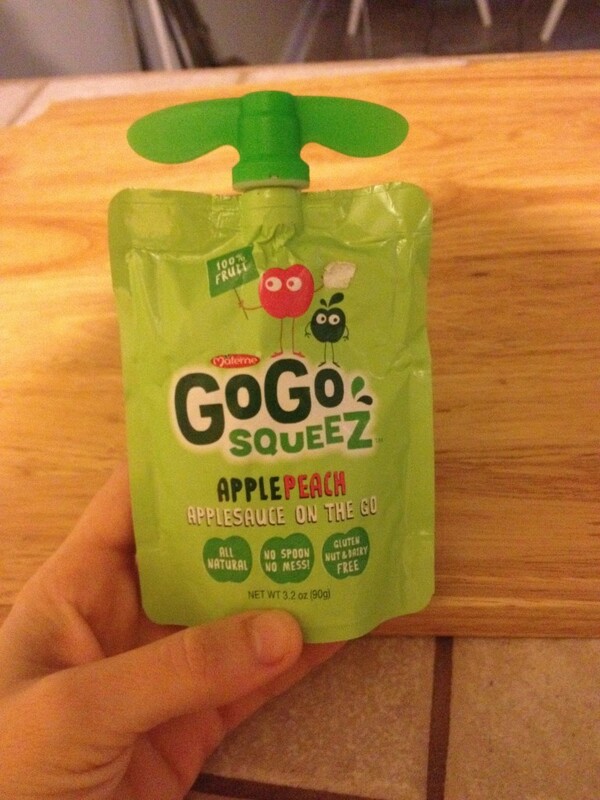 The last thing I’ll talk about was this applesauce to go. I actually had that this morning, which worked out perfect because I needed something light for breakfast before work. It was delightful, sweet, and the perfect portion. Thanks Julie for all of the awesome treats and being my first Foodie Penpal! I’m so glad we connected. If this sounds cool to you, go ahead and head over to The Lean Green Bean blog, read the rules, and then sign up here —-> CLICK TO BE A PENPAL. It’s super easy and a great community of healthy living bloggers and readers. I’d love to be your penpal one day! What are some of your favorite treats? What would you send me if I was your pen pal? Tell me in the comments and I’ll check it out!